Excited about SimCity? It’s only a bit over two weeks away till its release and everyone has their breath held. 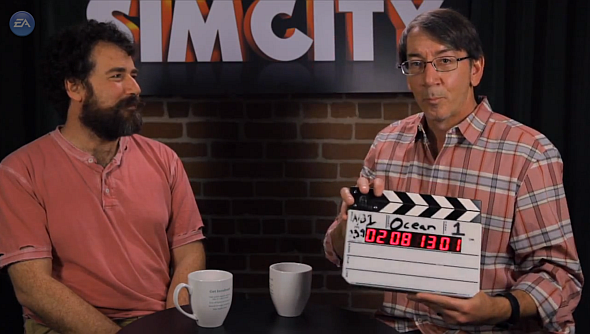 Here is a lovely video of Will Wright, the creator of SimCity and The Sims, talking to Ocean Quigley, the Creative Director of the new SimCity. Stop what you’re doing, go grab a cup of your favourite hot beverage, sit down and watch two of the biggest Sims fans talk about SimCity. Do you feel all warm and fuzzy after that? I sure do, but that could be the caffeine. SimCity is out on Friday March 8th.